One of Dusty’s best friends, Matty G, is Italian and grew up on Long Island, NY with a Mama that can cook! The first time Dusty went to visit Matty in NY, his mom made an incredible Frutti di Mare with fresh seafood that Dusty still talks about. *The Chicken Parmesan is super yummy too… I will blog about it later. 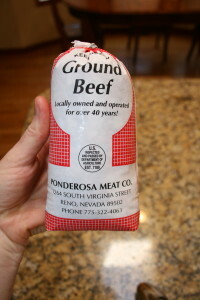 Many of these ingredients came from my GBCFC bounty. In a large pot heat up olive oil. Add chopped onion to the pot and cook until it is clear. Add garlic and cook for 1 minute, then add tomato paste. Chop the basil and add to the pot. Add spices too. Stir in for about a minute, then add the sauce and water. Stir occasionally until it all starts to boil, then add wine, salt and sugar (if you use a sweet red, you do not need to add sugar). 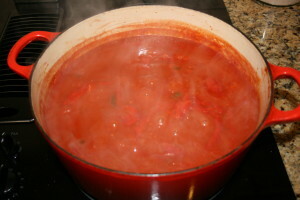 Let it boil for about 2 minutes, then turn on low and let it simmer for about an hour. It is ready to serve over your favorite pasta!! 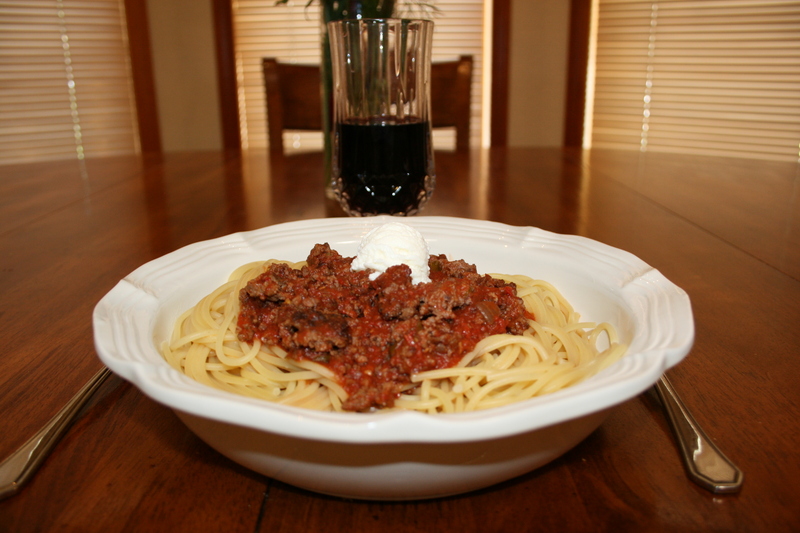 *I like to brown some of our ground beef and add a couple cups of sauce to it then serve it over pasta. **I also add a dollop of ricotta cheese if I have it on hand… I learned this trick from a one of our favorite Reno restaurants, Campo. 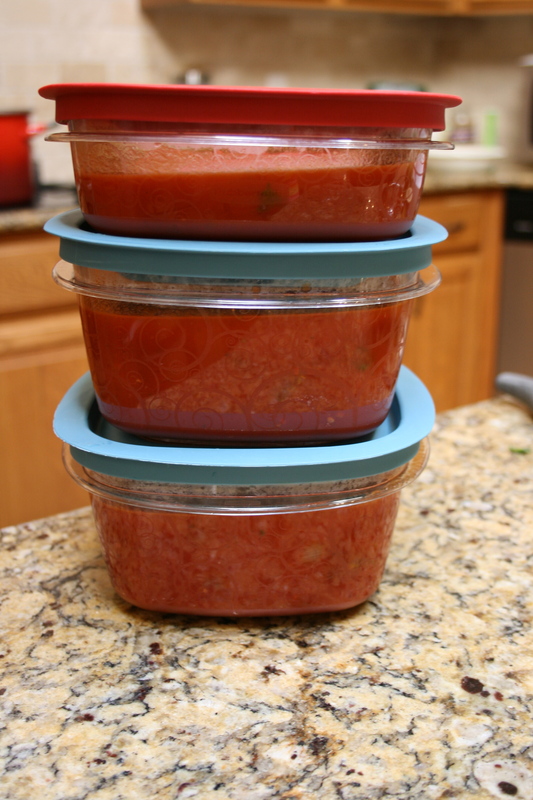 ***This is extra: These little thermal containers are awesome! I use them at least 3 times a week for the tinies’ lunches. 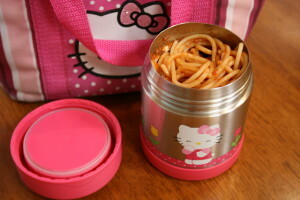 I just heated up some left over spaghetti with sauce, and put it the in container… lunch done!! 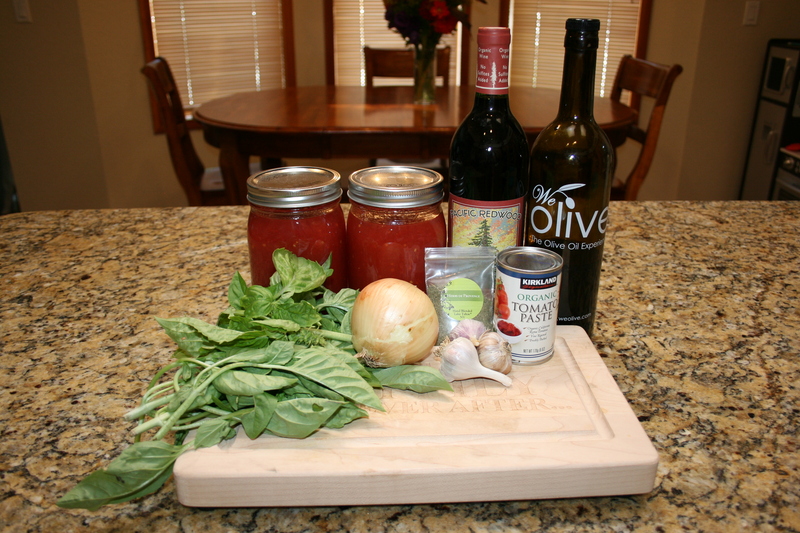 ****This red sauce freezes super well. 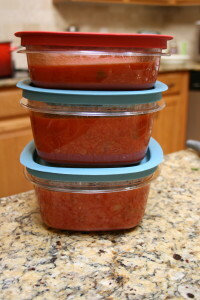 I let the sauce cool down, and then I put it in freezer containers. 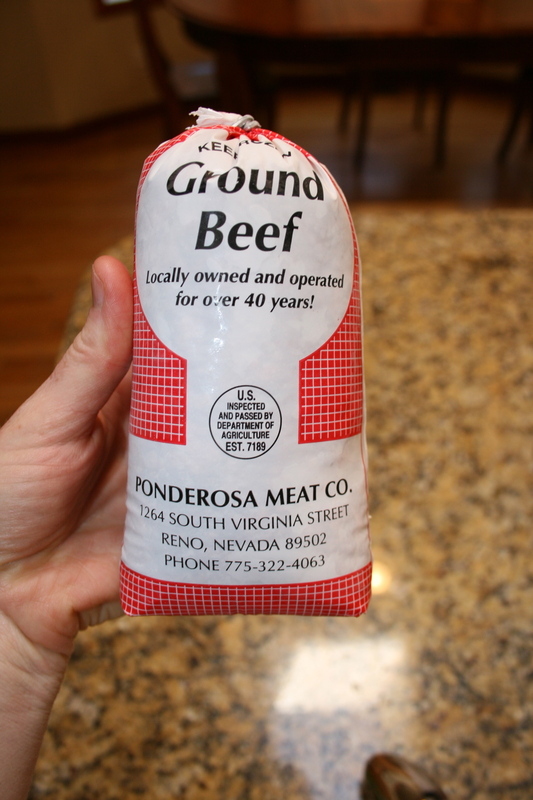 It makes for an easy dinner down the road.